Everything you always wanted to know about farriery, but were afraid to ask! This is an information-dense, well-illustrated volume which employs extensive cross-referencing to efficiently cover topics from the basics that everyone working with horses should know on up to advanced concepts in modern hoofcare. Designed for the free-form, individual study that is naturally common in farriery. The general focus of Millwater's Farriery is practical hoofcare to maintain and restore soundness. It does not deal extensively with contest forging and shoeing, nor is it intended to provide in-depth instruction on the business-end of running a horseshoeing service. It does feature article-length entries on hoof balance, trimming technique, basic shoe forging, cold fitting keg shoes, practical horseshoe modifications, drawing and setting clips, shoe application, and managing various lameness and gait problems with applied farriery. Horseowners will find instruction on how to cleanly remove loose shoes... And put them back on well enough to keep their horses in service until the farrier can get to them. Also articles on how to properly hold horses for shoeing, and the fundamentals needed to understand and effectively participate in one of the most essential aspects of their horses' care. 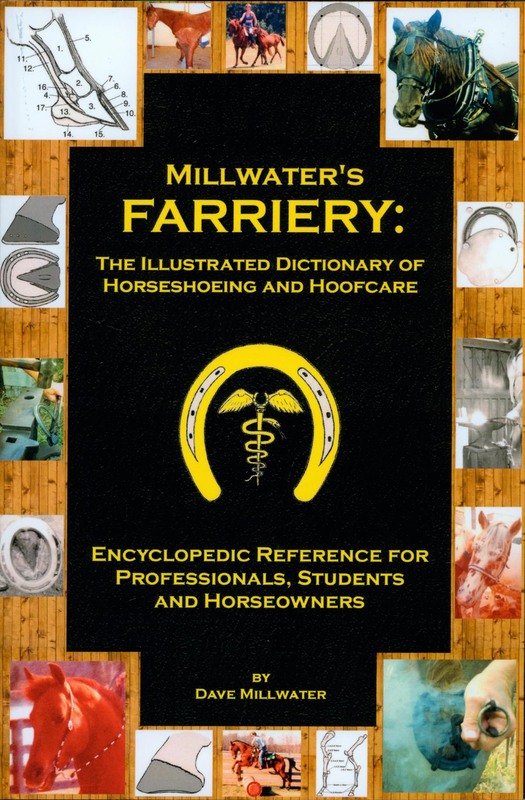 This book is the culmination of our lexicon project, which started eighteen years ago with The Pocket Dictionary of Farrier Terms and Technical Language, and evolved through eight editions of The New Dictionary of Farrier Terms and Technical Language. Millwater's Farriery makes the leap to an encyclopedic dictionary, with triple the content of the last New Dictionary. Includes expanded appendices, an extensive Historical Reference section, and updated resource guide.